The pattern enhances the interaction and the contrast between woods and metals. The scheme of installation is totally customizable as well as the finishings. 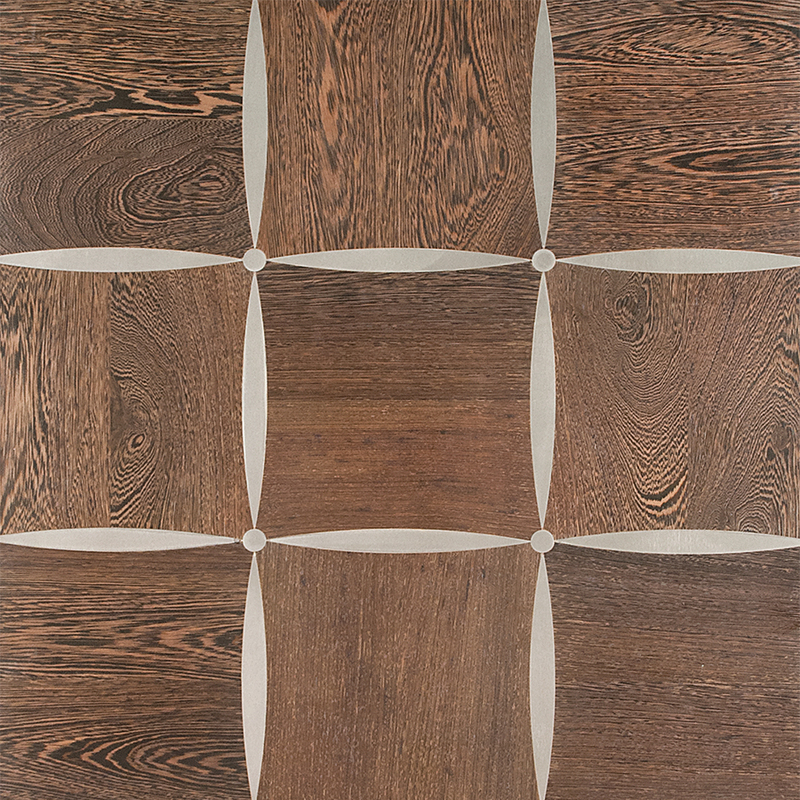 The pattern is available in other combinations of woods and metals, such as, for example: oak, rosewood, teak, walnut (squares) or wood and metal (inserts).